The leaves are turning and sunset arrives a bit earlier each evening the past few weeks. A new season has arrived in Crestone. This coming weekend, October 10-11, 2015, Crestone artists open their studios to all for a celebration of art. This year, I will be one of those artists. Please join us from 1-6 on both Saturday and Sunday and meet our vibrant artist community. Go to http://www.CrestoneArtists.com for more details. **The state’s creative districts are capitalizing on Colorado’s creative assets to grow their local economy and to improve the quality of life for their residents. 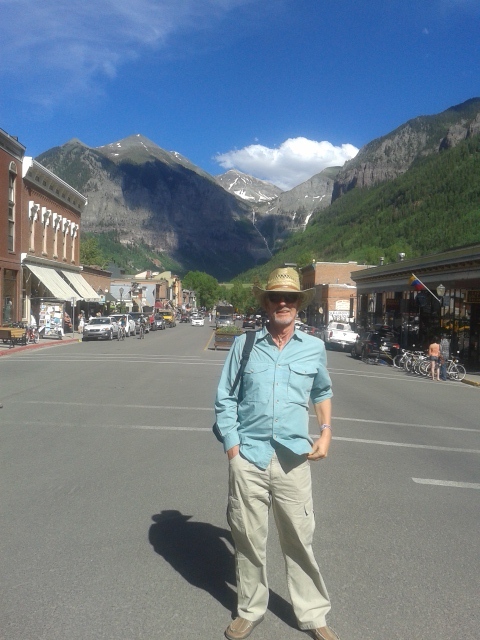 The goal of this program is to help Colorado Creative Districts achieve the administrative structure, funding streams, community engagement process, strategic plan and staff structure that provide both immediate sustainability and opportunities to evolve. A dear friend showed me this place years ago and I have been a fan ever since. 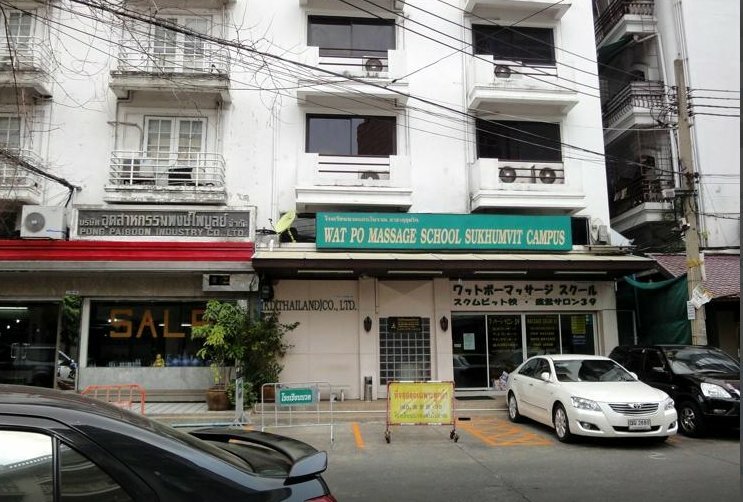 You may know of the famous Wat Po massage school that trains many Thai massage therapists at their main school near the river. But fewer know about their satellite location in Sukhumvit–soi 39. Simple, clean, extremely efficient, the therapists are expert at their trade–I’ve never had a bad experience. Foot massage and “scrubbing” are on the ground floor, with upper levels reserved for full 1.5 or 2 hour Traditional Thai Massage. The rooms are pleasantly dark and airy, sparkly clean and calm. I have been known to book a taxi directly here from the airport on arrival in Bangkok. I can guarantee you will not walk out of here frazzled. The place is packed on Saturday afternoons, so book ahead. If ever the pace of life get’s you down, hurry up and take one of these…a walk in the wilderness. Nothing has the ability to renew my body and calm my mind and remind me of the preciousness of this human birth like a day in the mountains. Works every time. 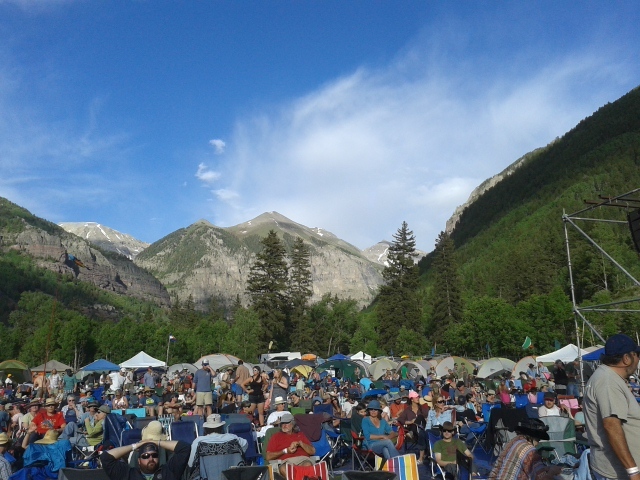 Found myself at the Telluride Bluegrass Festival last week. 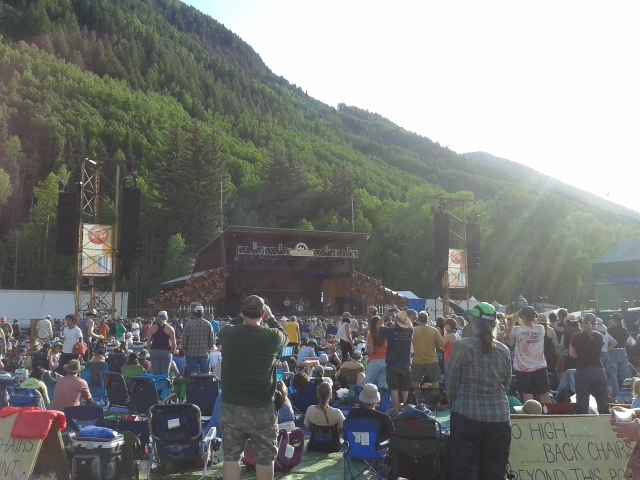 A foot-stompin, hoot-hollering, jig-dancing good time. Yeehaw! Nothing like great music and dancing for world peace. A while back, The Global Yogi interviewed me to ask how I found my way on the path to teaching yoga internationally. Click here to read it on The Global Yogi. Are you ready to begin your path as a global yogi – teaching yoga internationally – but don’t know where to start? Check out our new online course, How to Make a Fabulous Living Teaching, Traveling (and Saving) the World. Click here for details and to register. Classes start 14 July 2014!